The population-based wolf hunt has now ended. Hunting licenses based on population management purposes for the hunting of wolves resulted in 43 kills. Three licenses remained unused in North Karelia. This year marked the second hunting year of the two-year trial which will be used as the basis for the assessment of the hunt’s impact on wolf populations and behavior. A total of 27 applications for the population-based hunting of 116 wolves were received. The Finnish Wildlife Agency assessed and examined the applications case-specifically and granted licenses for the hunting of 46 wolves for population management purposes. Only three licenses were unused. Appeals were lodged in regional administrative courts regarding all favorable decisions, but the appeals did not lead to a standstill clause. The granted licenses were valid for 30 days during 23.1.–21.2.2016. The hunt’s progress could be followed online with the Finnish Wildlife Agency’s “catch chart”. Catch data were automatically updated in the chart after the reception of the catch notification. The chart will be complemented with more details about the wolves after they have been examined by the Finnish Natural Resources Institute. The two-year trial has amassed data about how the population-based hunting impacts the wolves’ behavior, the pack’s vitality and the people’s attitudes. The Finnish Wildlife Agency and the Natural Resources Institute will assess the hunt’s practical implementation by next autumn. The Ministry of Agriculture and Forestry will later decide on its continuation. Territory-based hunting for population management purposes aims to secure the wolf population’s already suitable protection level and improve the coexistence between humans and wolves according to the Wolf Management Plan’s objectives. 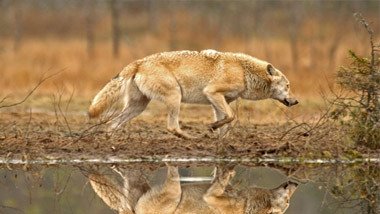 The EU’s Habitats Directive enables the population-based hunting of large carnivores on the conditions that the game species has a management plan and that the hunting will not weaken the obtainment of the protection level – and if there is no other satisfactory solution to the conflict. Population-based hunting in Finland has previously concentrated on lynxes and bears, clearly reducing conflicts caused by them. This type of hunting has created added value to the large carnivores and increased their acceptance amongst the locals. SKANDULV - wolf research in Scandinavia. SKANDULV is working on issues connected with wolf ecology and administration. The main questions concern wolf populations, movement patterns, genetics, ecosystem effects etc. 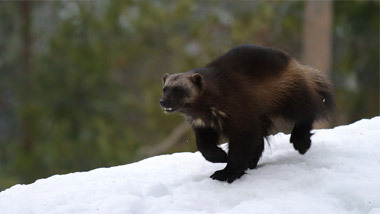 The hunting and fishing supervisors of the State Forest Enterprise (Metsähallitus) have revealed a suspected illegal wolverine killing in Taivalkoski. The police are investigating the case as a serious hunting offence.